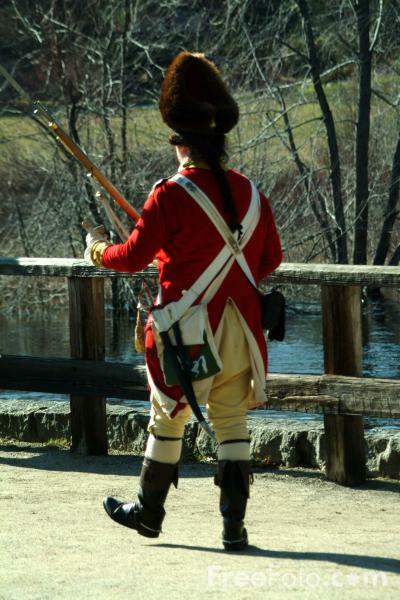 Photographs of The Old North Bridge, Minute Man National Historical Park, Concord, Massachusetts, USA. Marking the spot of the "shot heard round the world", this bridge is where the Minutemen held off the British. VIEW: More images from the category Concord, Massachusetts, USA or taken at the same location or around the same time .